The art of making earthenware mud bricks with a layer of colored glazed designs and patterns to cover all kinds of surfaces of a construction is called tile making. Tile is an earthenware object which its width and length is different and has a glass and smooth side and it is used not only as decoration but also moisture insulation in the construction. The word Kashi (tile) has derived from the name of Kashan city which has been well-known as the center of tile making and pottery industry since the early Islamic period. Tile has a long antiquity and is among the improvements and change which human has achieved in the field of brick making. The first time that colored bricks were used in buildings is not clear but the samples which have been discovered in Eilam from second millennium B.C are among the first discoveries in this field. Among the works which have been built in this way in plateau of Iran we can name the buildings located at Persepolis and Susa. 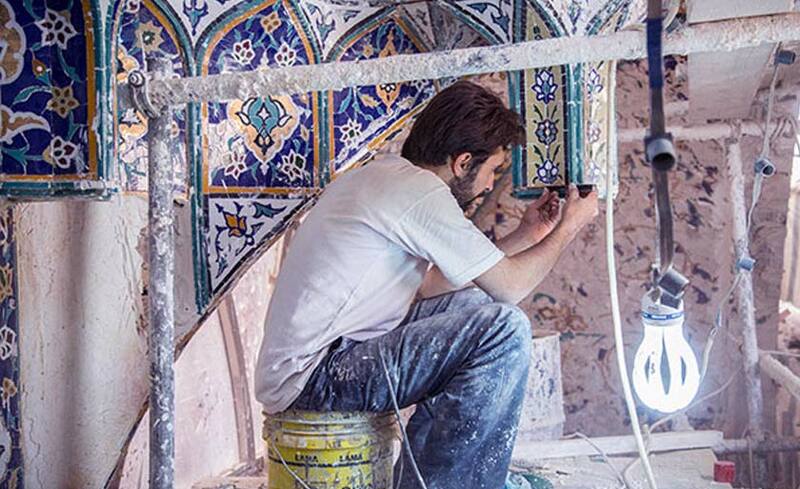 Tile working was revived during Abbasid Caliphs period and afterwards. 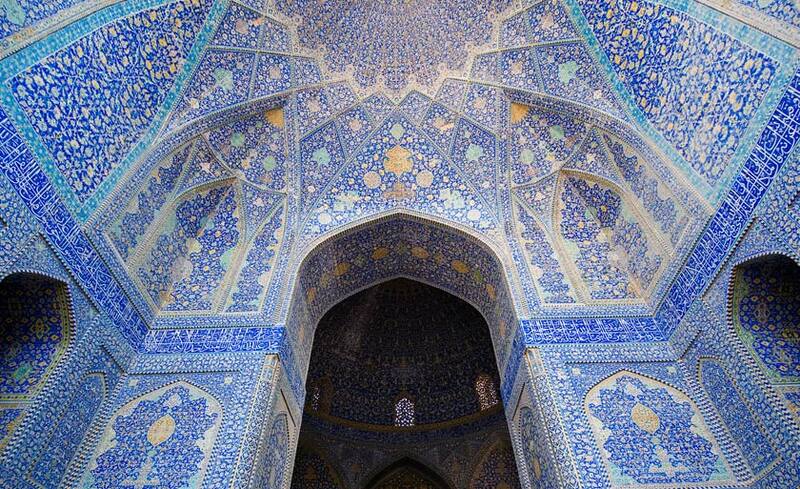 According to professor Pope, for the first time glazed tiles were used in the dome of Ghazvin Jame mosque in the 12th century A.D but as soon as this style was initiated, it developed quickly and within a few generations all buildings were covered beautifully with tile working. Primary tiles were made more with a simple colored glaze with geometry shapes in the brick background but following this trend patterned tiles were made in the late 12th century A.D. tile working is performed by two main methods of Moaragh (mosaic) and seven-colored. 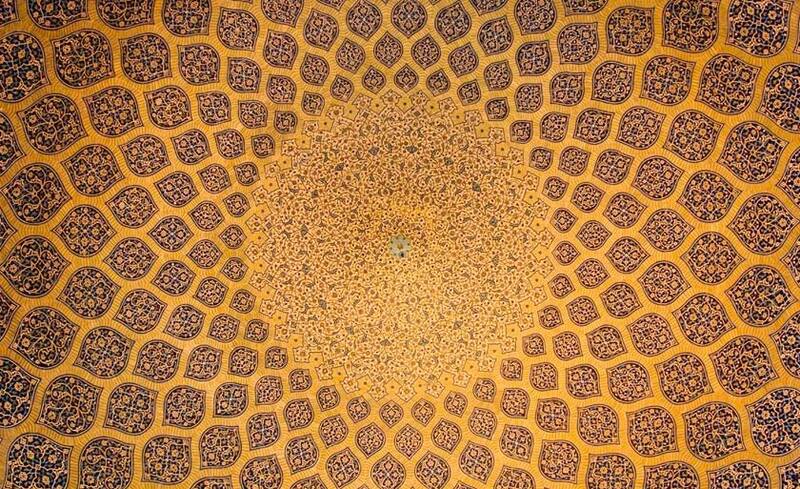 Of course Zarinfam (golden) tile, Moaghali tile and etc. are other kinds of tile working which are much less used. 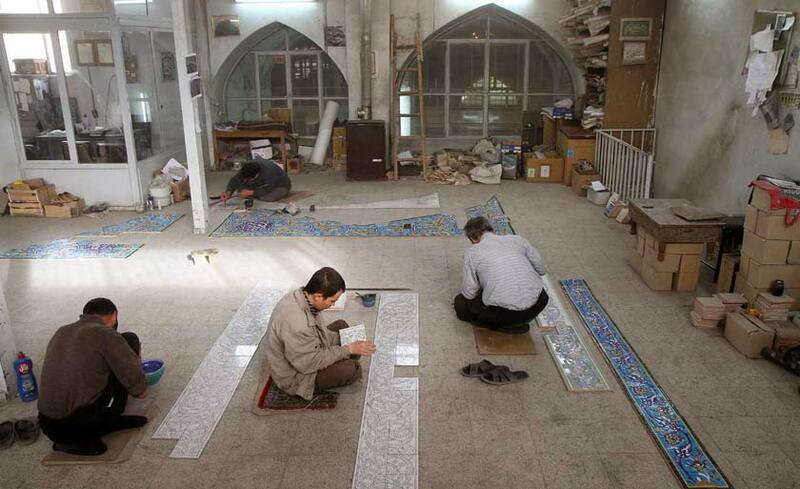 Moaragh tile is one of the simplest and the most beautiful methods for covering the construction. In this method, after baking raw mud-brick in the kiln, the surface of tile is glazed with colors like blue, turquoise, green, yellow and etc. is baked in kiln again. 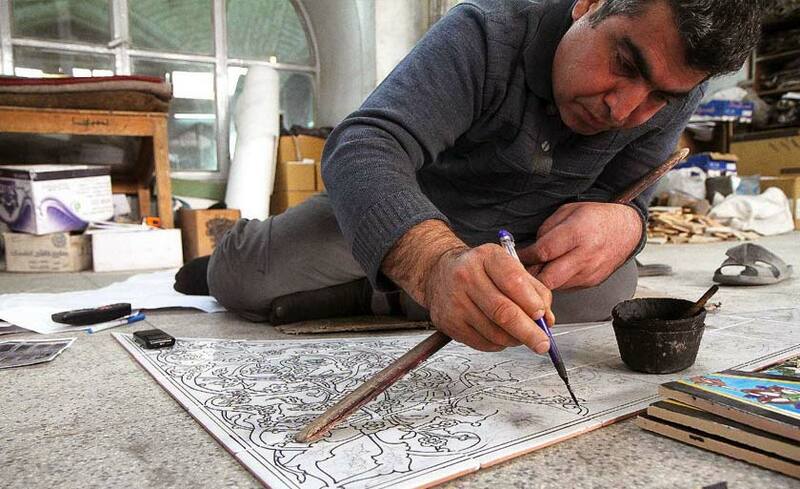 Then, the design in question is drawn on the paper and after being glued on the tile, extra parts are removed by an adze to obtain the desired design of the tile. Following it, all cut and filed pieces are matched together proportional to their designs and color so that there is less empty space between them. The cut pieces are arranged on the ground to gain general design then from the back and by a metal mesh and grout it is formed as one pieces, then it is prepared to be installed on different parts of the building. Due to hardship of making this type of tile, seven-color tile, was made to cover the whole building with colored and patterned tiles in less time. For making seven-color tile, according to the size of design, raw tiles are baked and arranged beside each other. Then, the design is transferred by charcoal dust on the surface of tile and having painted its entire surface, it is coated by white glaze which becomes pellucid after being baked. Designs used for seven-color tile include prayer niche, flowerpot, rosette, geometric shapes and different kinds of bird and animal designs. Nowadays, a white ceramic is used instead of painting and coloring on raw mud-brick then the design is created on it by silk print, which technically it is far different from traditional tile making not only in terms of color and glaze but also quality.